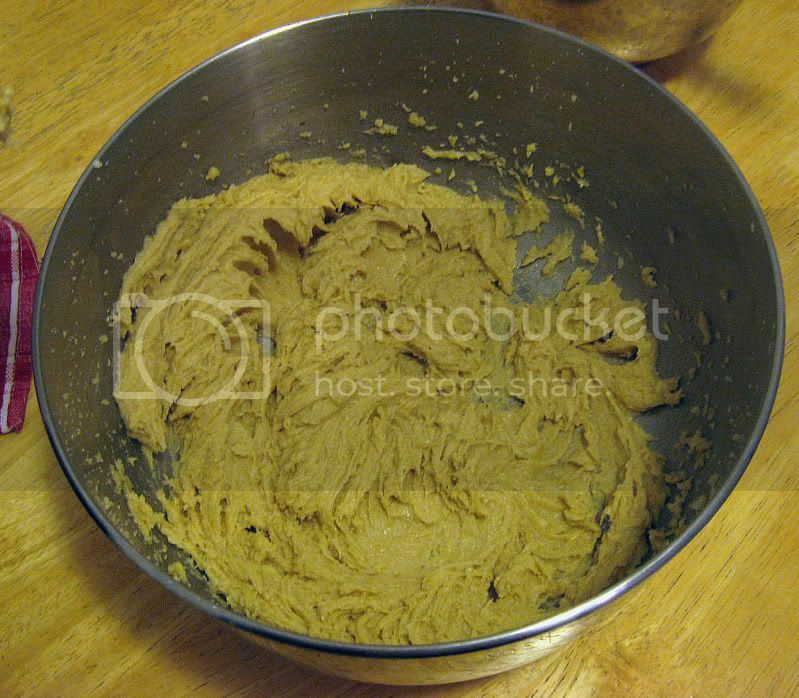 As I have documented twice in the past, I'm always looking out for that quintessential chocolate chip cookie recipe. 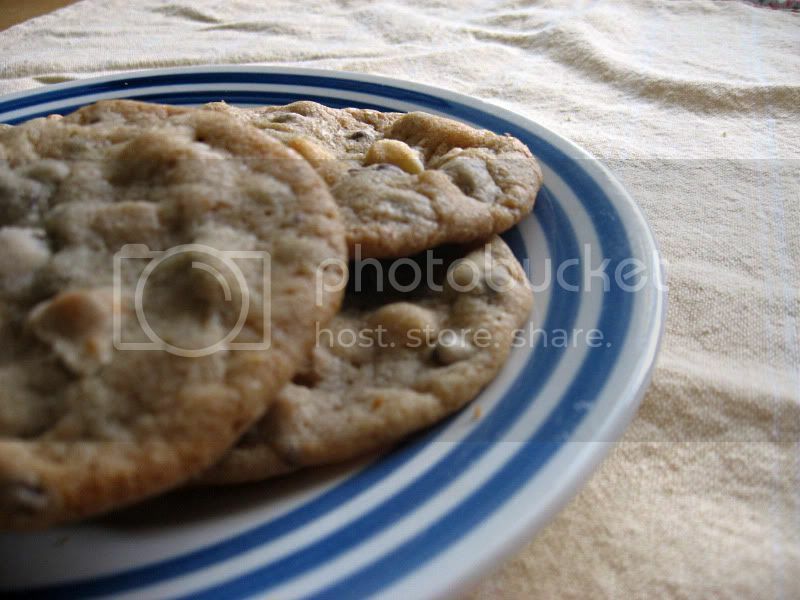 I don't know about everyone else, but it's definitely my go-to cookie whenever I'm craving something desserty. The past two recipes, while not bad, weren't what I was really looking for. So, were these? ALAS. No. Some people may like these ones that spread and get thin but I very much do not. 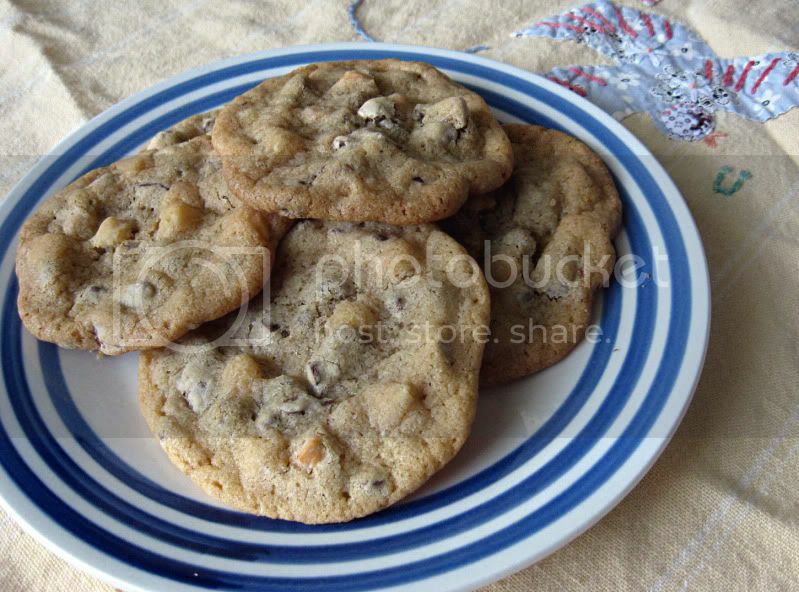 They may taste fine, but I like my cookies to be thicker, while still gooey-chewy. And not so wide! Where is this elusive recipe? I think part of the secret must be to let the dough sit overnight, so maybe I'll try that for the next one. Until then, though, you can see how these ones are made. Maybe they're the perfect ones for you. A couple notes: I didn't have nuts to put in, so I nixed that part of the recipe. 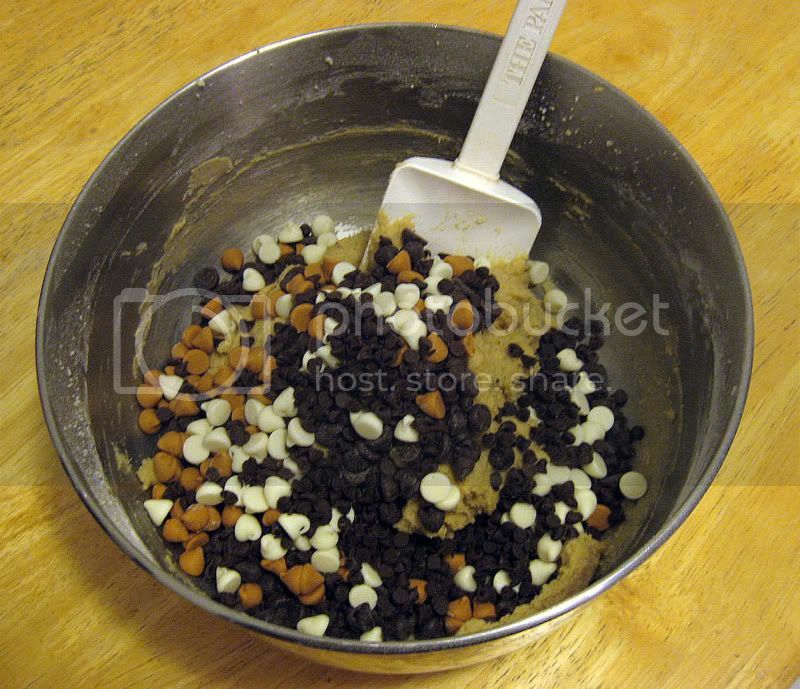 I also didn't have enough plain semi-sweet chocolate chips, so I used a combination of semi-sweet chocolate chips, butterscotch chips, white chocolate chips, and mini semi-sweet chocolate chips. If you want to know my ratio, it was: 1/2 c semi-sweet chips, 1/4 c butterscotch, 1/4 c white, 1/3 c mini. So it's a little bit less than what the recipe calls for, but the mini chips always end up seeming like more, so it works out. I also had some issues with the first step, but I detailed that below. The sugars and butter, ready to be mixed all up together. I apologize for the not wonderful quality of the step by step photos, but I had a craving last night, so there was no natural light to be found. Oh well! 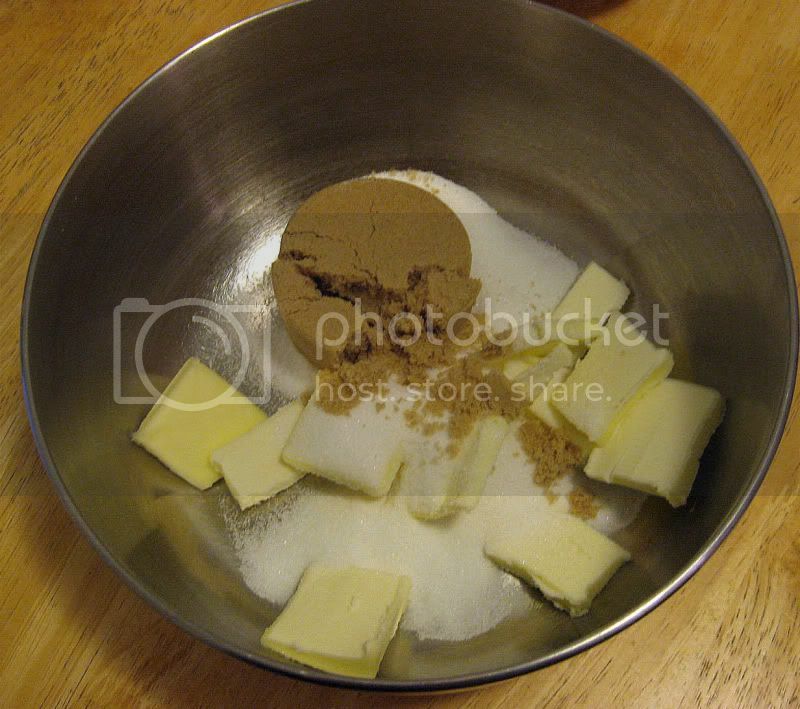 Butters and sugars mixed together. And let me just tell you, with a hand mixer, this was quite difficult to accomplish because of how you're supposed to keep the butter cold. There was flecks of butter flicking everywhere, to the point I had to cover it with a dishcloth so it wouldn't get all over the place. I had to get creative with it just to get the butter properly mixed in. Oy mama sita. After the eggs, vanilla and baking soda. Apparently I forgot to take a photo before I dumped in the chips. Oops! 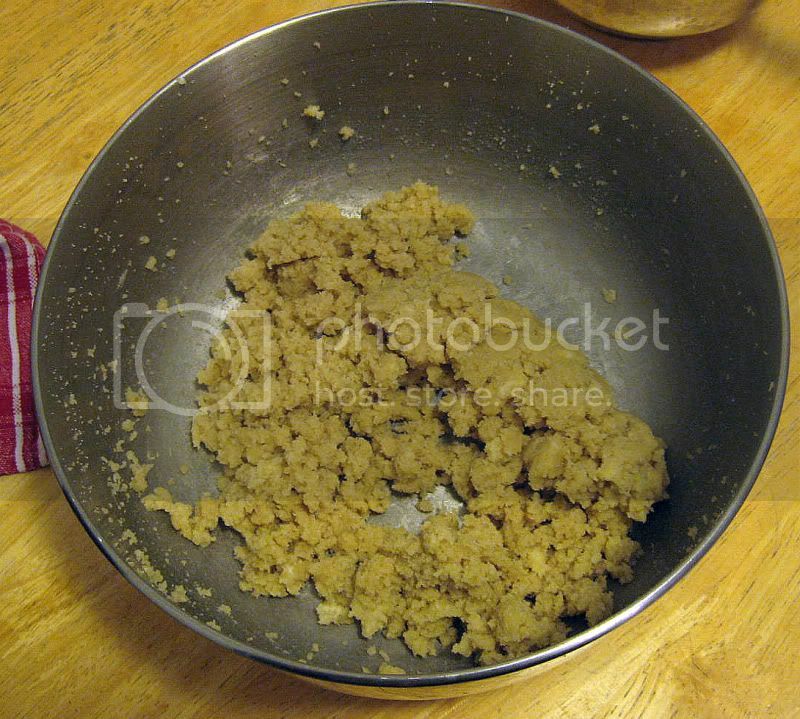 I guess I also forgot to take a photo of the dough balls before baking. Jeez, I was out of sorts or something. 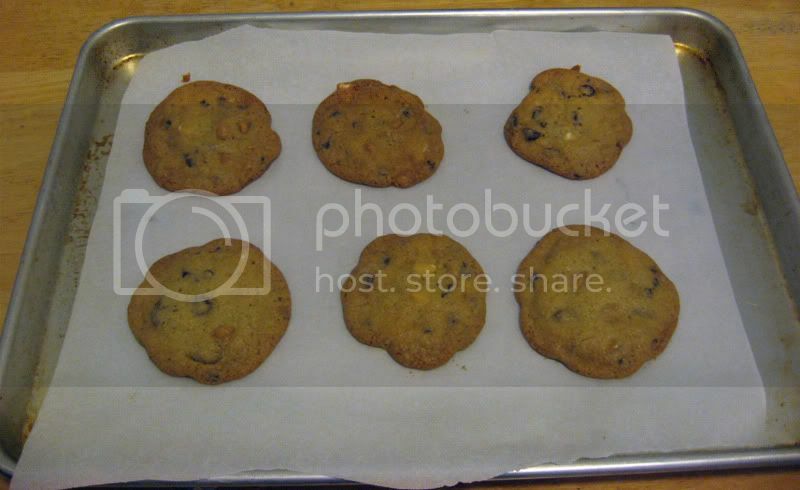 Here's what they look like after they've come out of the oven. But hey, they still taste good. That's all that matters.